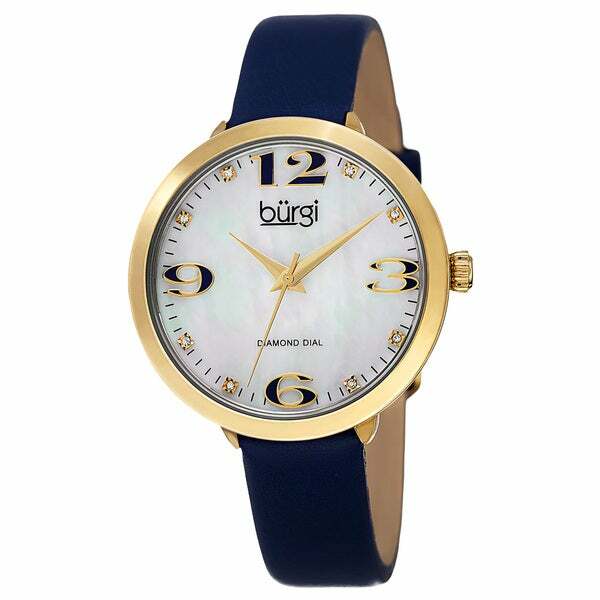 This Burgi women's watch has a genuine leather strap and is powered by Japanese quartz movement. The beautiful mother of pearl dial features eight sparkling diamond markers. Its classically elegant and chic look will add class to any outfit. REALLY LIKED THE WATCH AND PRICE WAS GOOD.